One of the drawbacks of traditional dentures is that they aren’t anchored down. This means that dentures can often slip out or become loose when speaking, chewing or laughing. Another common complaint is that a dentures fit can change over time. As you age, your gum tissues will change which means that your dentures won’t fit as comfortably as when you first received them. Readjustments and relines are necessary to ensure that your dentures fit is optimal. To address these issues, Uptown Dental Gig Harbor offers another tooth replacement option: dental implant restoration. Implant restoration involves placing a titanium steel implant directed into your jaw bone. Because the implant is placed into your tissues, it is anchored firmly in place. Compared to conventional dentures, it won’t move around or become loose. Once it is placed, the implant is there for good. 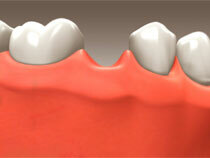 An attractive artificial tooth is attached to the implant as the final touch. 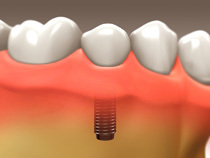 One of the biggest benefits of implants is that they act just like a real natural tooth. 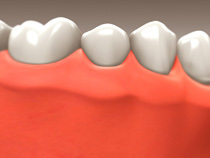 Unlike dentures which rest on top of gum tissues, an implant replaces the missing tooth’s root. This helps to prevent bone demineralization that commonly occurs once a tooth falls out or is extracted. As a result, the implant supports your jaw and neighboring teeth and stops bone shrinkage from occurring. 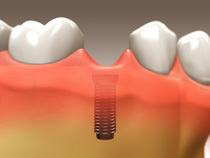 Dental implants also help to support adjacent teeth and strengthen your overall bite. 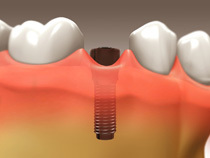 By replacing the gaps, an implant prevents shifting and weakening of nearby teeth. This keeps your bite stronger and durable so you can continue to enjoy a wider variety of foods. People with healthy gums and plenty of jaw bone tissue are the best candidates for implant restoration. If you have dental problems, such as decay, it’s best to treat these first before considering dental implants. Also, realize that implant restoration is more invasive and can often take months to properly place. Dr. Rhonda Savage at Uptown Dental Gig Harbor will examine your mouth to determine if implants are right for you. Contact us at (253) 857-0835 to set up an appointment today.